I have been on a search lately for a nice romantic place that is quite, calm, romantic, and peaceful. Just happens on one of my days searching I come across The Arbor. I fell in love right away, this has been just the place I was searching for. The owners are two sisters Sarah Elisabeth Brenham and polly steerpike right as you enter the restaurant they are both very sweet and welcoming. Creating the feeling of being somewhere magical and still being very comforting. A place where you can feel at ease. That states everything wonderfully, what I love about this location is the different scenes that are available to choose from. They are all beautiful, and there is something for everyone depending on what appeals to you the most. 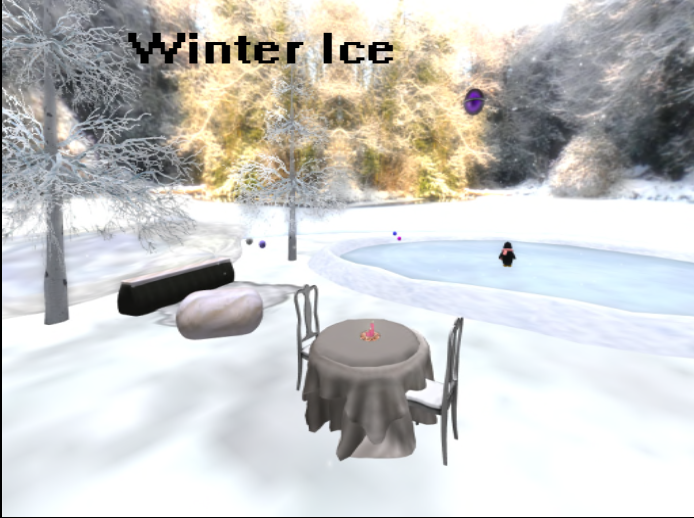 The Winter Ice location is just as the name states, a beautiful winter location for anyone looking for their perfect winter wonderland. A special place to cuddle up together and enjoy the frosty beauty around them. 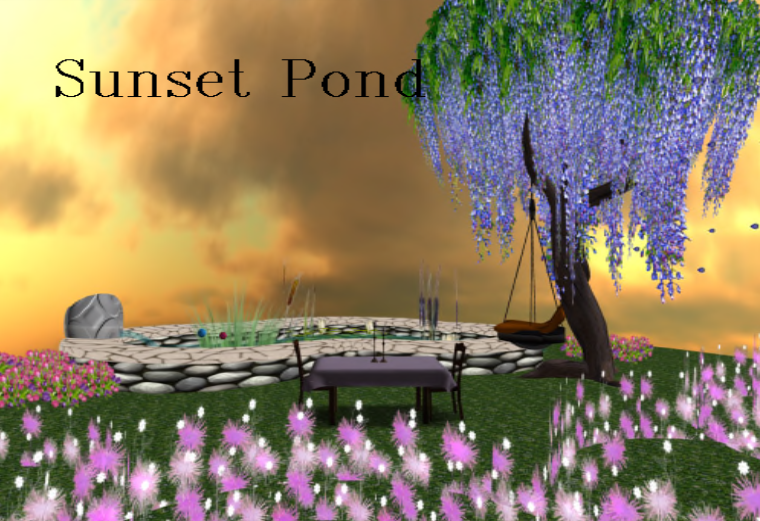 In Sunset Pond this area has a bit more of a springtime feel to it, along with having the view of a breathtaking sunrise to warm anyone’s soul. 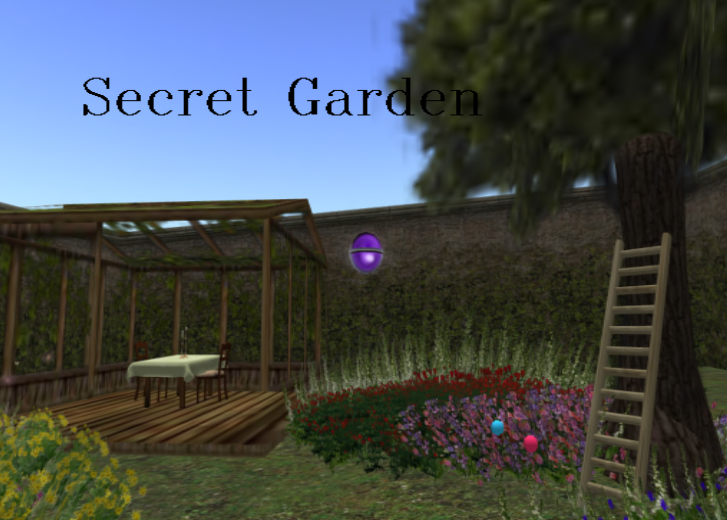 Here we have the secret garden, everyone has a connection to having a secret place of just their own. There is always something magical in secret gardens. 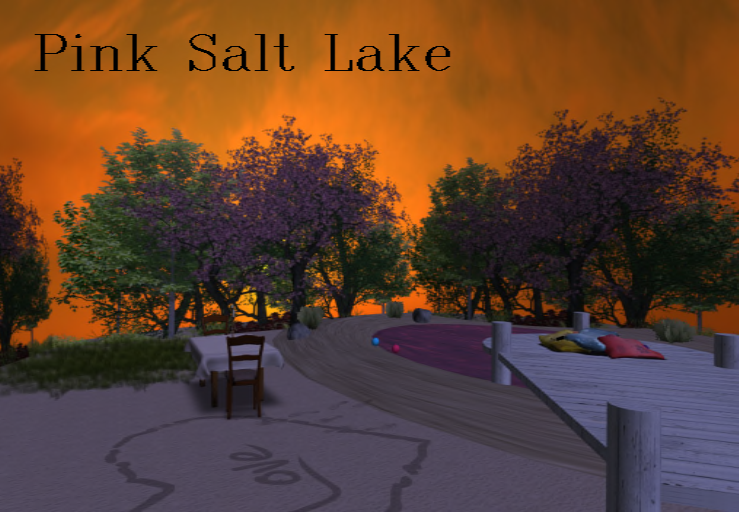 A beautiful Pink Salt lake, you can walk hand in hand through the sand talking about your deepest secrets or desires, along with dipping your toes in the beautiful lake. A very romantic and relaxing location. Here at Beach Haven you are submerged into a heavenly tropical location. Can already imagine the sea breeze brushing through your hair, as you stroll through the palm covered beach. Looking to make a reservation, upon landing at the restaurant you will be greeted by a server who would be perfectly glad to help you decide on the perfect setting. I haven gone ahead and picked up a brochure, to help you with deciding on the magical night. For this package, you may have one of the scenic window tables in our large room. With this table, you get all the delights of a taste-bud popping menu, a lovely dance floor, and full service of our professional staff. This reservation is when you have only but an hour or less to be romantic, but do not wish to exclude the dinner as well. This package will allow you to enjoy the entree course only with drink and of course with a live server for an hour. wine bottle, teddy bear holding a heart, and red roses for your date. This package is for when you want a private skybox and a server is available or you want to reserve it for later and want the basic package for dinner. With this package, you get the server and the box for 2 hours to yourself with a 3 course meal. You also get a lovely system to dance with. You will get a teddy bear holding a heart for your guest, red roses, gift boxes for each of you , and a picture of the night in a heart frame. If a server is available or you wish to reserve for later, this package offers more than our basic package as well as more variety. You get a 2 hour stay in any of the skyboxes above, a 3 course meal with a live server, and a system to dance. A large box of chocolates, a teddy bear with a heart, gift boxes, red roses, pictures of the night in a heart frame, champagne bucket, and a heart shaped cake. This package requires at least a 24 hour notice so we know that we have all your personalized items for you. This package gives you 3 hours in your skybox with 2 hours with a live server whom will give you a 3 course meal. You can dance to the system that is out for you. Personalized Teddy Bear(Shaggy Teddy Bear, Panda, White Teddy Bear, Hot Pink or Light Pink Teddy Bear) , Personalized wine glasses in a wine bottle, a large box of chocolates, choice of colored roses (red, white, yellow, or pink), gift boxes, a picture of your night in heart frame and a heart shaped cake. Personalized Teddy Bear (Choice of Shaggy, White, Panda, Pink or Hot Pink Teddy Bear), Personalized wine glasses in a Personalized wine bottle (4 different choices of bottles) , a large box of chocolates, choice of colored roses (red, white, yellow, or pink), gift boxes, a picture of your night in frame and a Personalized heart shaped cake. Personalized Teddy Bear (Shaggy, White, Panda, Pink or Hot Pink Teddy) Personalized wine glasses in a Personalized wine bottle (4 types of bottles) , a large box of chocolates, choice of colored roses (red, white, yellow, or pink), gift boxes, a picture of your night in heart frame and a Personalized heart shaped cake. You will also get a picnic basket with a food to take home. This package requires at least a 2 days notice so we know that we have all your personalized items for you. This package gives you 3 hours in your skybox with 2 hours with a live server whom will give you a 3 course meal. You can dance to the system that is out for you. Personalized Teddy Bear(Shaggy, White, Panda, Hot Pink or Light Pink Teddy) , Personalized wine glasses in a Personalized wine bottle, a large box of chocolates, choice of colored roses (red, white, yellow, or pink), gift boxes, a picture of your night in frame and a Personalized heart shaped cake. You will also get a picnic basket with a food to take home . This package allows you to pick out your own menu from our list and we make the menu with your names on it! This ensures you get to have your dinner the way you wish it to happen! So, as you can see there are plenty of wonderful amenities offered at The Arbor and great choices to choose from with packages, and scenery’s. I find the locations to be beautiful and breathtaking. When you arrive at the restaurant there is a card you can pick up that also covers all of the packages I have provided here, also at the bottom of the card there is a reservations link. Click on, fill out the information for you and your loved one. And that begins this trip for a magical moment to share with someone special in your life. I really hope you take a moment to travel to this location, check everything out if you happen to be searching for somewhere memorable to take that special someone in your life.